The Ole Miss NROTC Alumni Group is composed of NROTC Alumni and those associated with the NROTC program. Although not formally recognized by the University of Mississippi Alumni Association as the Ole Miss NROTC Alumni Association, our Alumni Group works very closely with the Ole Miss Alumni Association who fully supports our annual reunion. Capt (ret) Ron Zaperach, NROTC CO (2001-2004) and Class of 1979, is the Reunion Coordinator and performs all reunion coordination with the Ole Miss Alumni Association, the Ole Miss NROTC Unit, maintains the alumni e-mail listing for the alumni group, is the administrator for the Ole Miss NROTC Alumni Facebook site, and coordinates the yearly reunion. 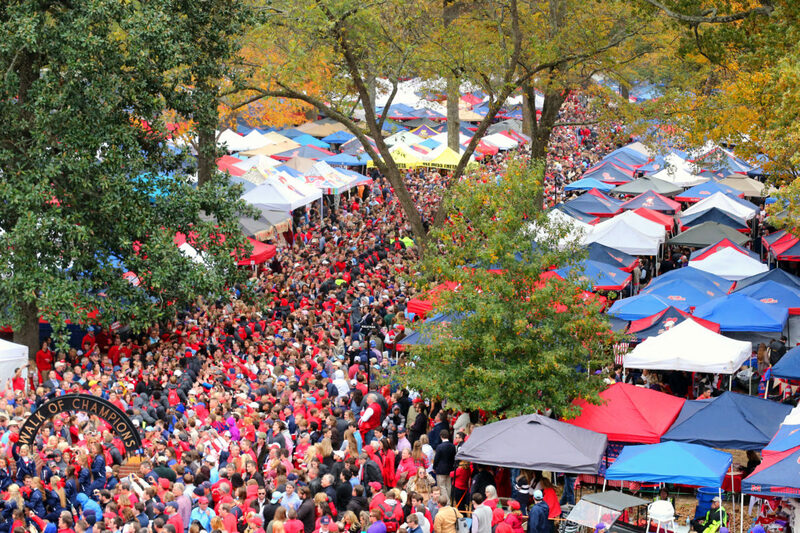 Our annual reunion occurs in the fall during football season and usually coincides with the Ole Miss Homecoming weekend. Reunion activities include a Friday golf out at Mallard Point located in the John Kyle State park, Sardis, catered dinner in the Ole Miss M-Club Room, and the Saturday pre-game lunch hosted by the NROTC Unit at their Grove tent. The Alumni Group has over 100 NROTC Alumni participants and is always looking for new alumni to become active in the reunion activities. Remember, you are a member of this Group once you get commissioned; however, you must make contact with the above Reunion Coordinator (zapster28@hotmail.com) to get included in the Alumni Reunion email listing. Anyone desiring to actively participate in the annual reunion planning should contact the Reunion Coordinator. So, sign up now for the annual fun-filled Friday/Saturday NROTC Alumni reunion and reconnect with your university, fellow classmates and shipmates!